Usually the tallest Scurvygrass, standing upright up to 40 cm, but Common Scurvygrass can exceed that height on occasion by 20cm. Flowers white, petals quite long. 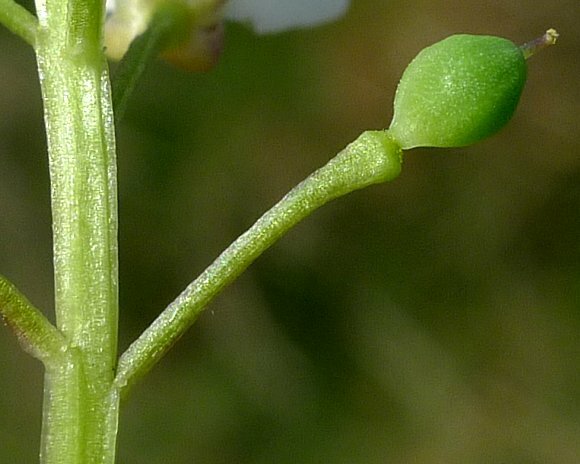 Sepals, numbering four, are highly curved and turning from green to brown. Stems ridged. 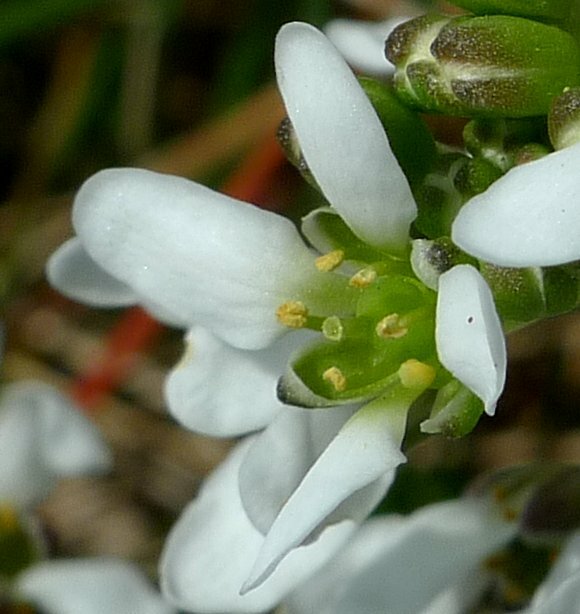 Generally the largest flowered Scurvygrass, flowers between 10mm to 16mm across. 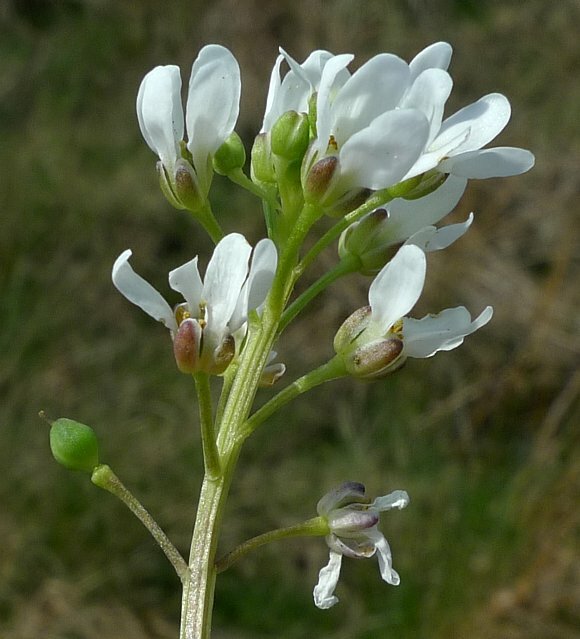 Four long white petals surrounding six stamens with creamy yellow pollen. Oval sepals hemi-spherically cupped, and interleaved at 45° with the petals. Fruit is ovoid, with a neck onto the stem. 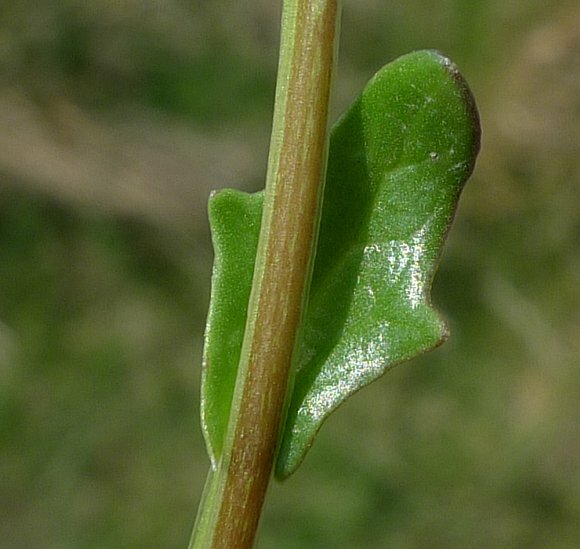 Stem leaves are coarsely toothed. 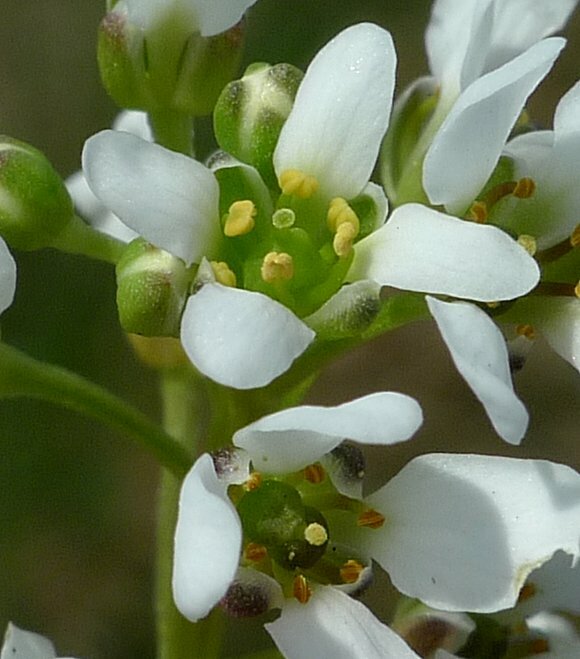 Hybridizes with : Common Scurvygrass (Cochlearia officinalis) to become Cochlearia × hollandica. 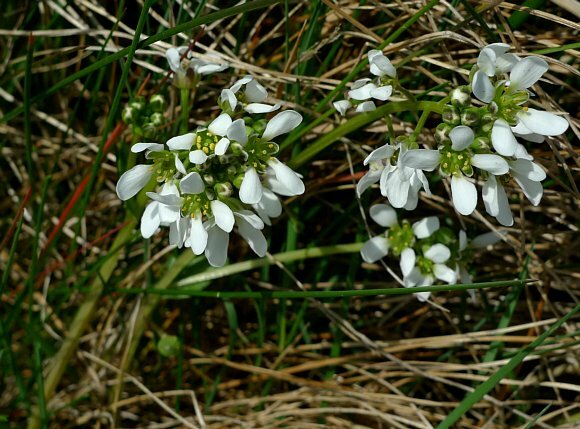 Some similarities to : other Brassica s.
Not to be confused with : Grass-of-Parnassus, Sea Arrow-grass, Marsh Arrow-grass, Sparrowgrass, Eelgrass , Yellow-Eyed-Grass, Blue-eyed-Grass, Grass Poly , Grass-Leaved Orache, Grass-wrack Pondweed or Grass [plants with similar names]. Habitat: muddy shores and estuaries. 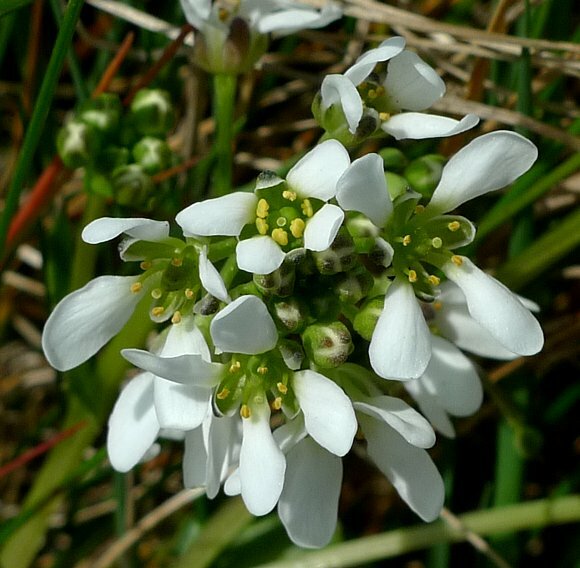 It is salt-tolerant but does not inhabit motorway verges like Danish Scurvygrass, another salt-tolerant species. Scurvygrasses in general have the ability to tolerate normally high salinity in the soil. It is thus a coloniser of salt-marshes and road-sides where salt has been sprayed onto roads to melt snow and ice. 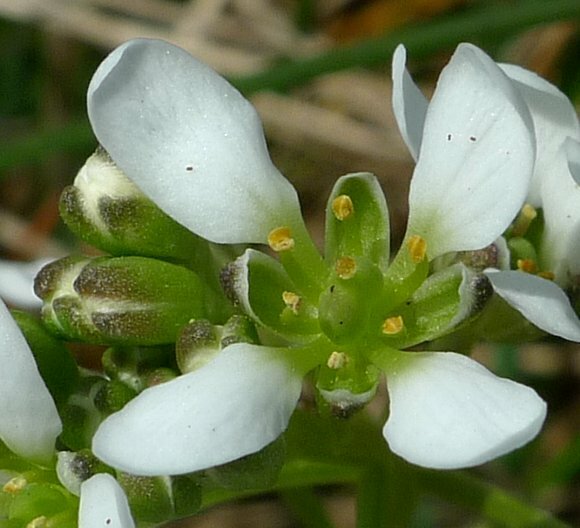 English Scurvygrass is a Metallophyte able to sequester some heavy metals.